Directions: In a bowl, mix cream cheese, cheddar cheese, bacon, ranch mix, and green onions. Place on plastic wrap and and form into a football shape. I usually use these to help with the form. 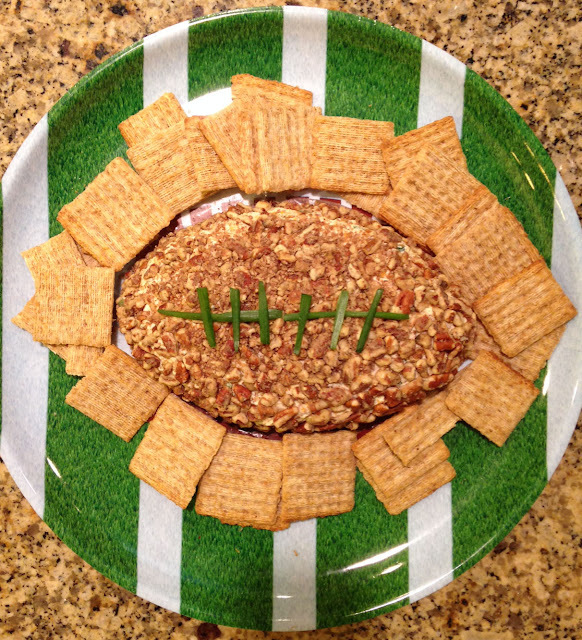 Roll cheese ball in pecans and refrigerate for 1-2 hours before serving. Add green onion as the stitches of the football. Serve with crackers of your choice.